Air Horn 1.4 OZ | BUDK.com - Knives & Swords At The Lowest Prices! Don’t go out hiking in the woods without a means to deter animals or signal for help! 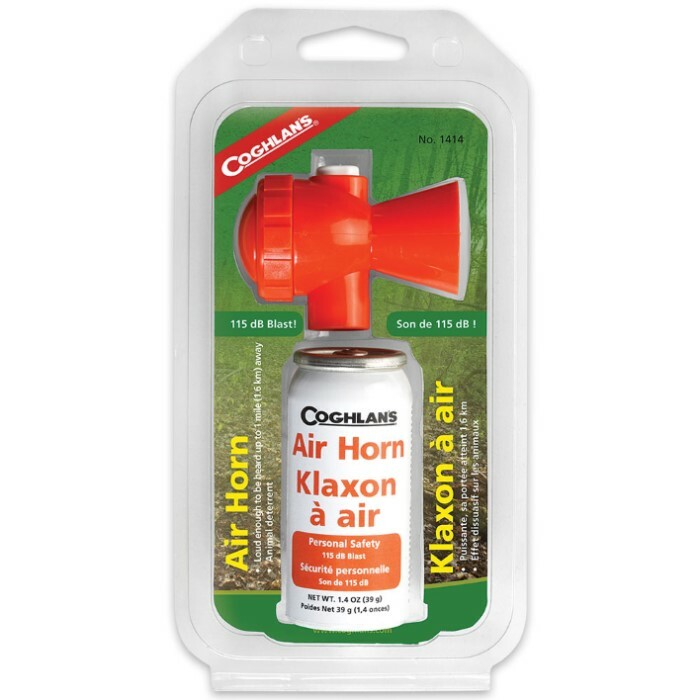 Just drop in this compact Air Horn and you will be prepared. Don’t be fooled by its size because it gives a powerful blast that can be heard up to one mile away. 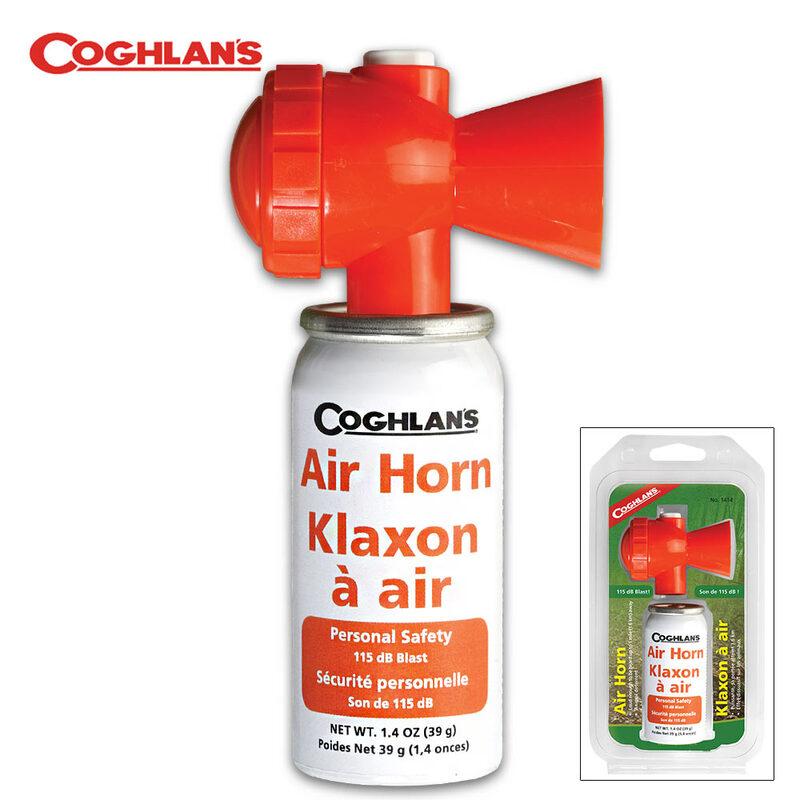 It’s easy to operate with a push button and is non-flammable and ozone safe. Meets USCG Requirements.